File this one under "hard to believe." Still, researchers from California believe they have found a simple - free - way to lose weight. 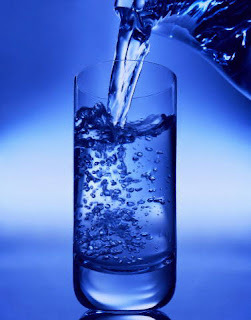 The researchers looked at 173 overweight women (aged 25-50) who reported drinking less than one liter of water per day. These women were then instructed to increase their water consumption, and were studied for a year. Remarkably, the researchers found that the increased water intake was associated with a significant increase in both weight loss and fat loss. The results suggest that if an overweight woman drinks less than one liter of water per day, the simple act of drinking more water may be beneficial. The researchers think that drinking the water may promote weight loss by lowering total energy intake and/or altering metabolism. So while it is hard to believe that weight loss could be that simple, the results of this study support the many personal trainers and nutritionists who insist that their weight-loss clients immediately begin drinking more water. If you drink next to no water, add three cups of water per day to what you’re already drinking this way: Drink one cup immediately upon waking, another cup as soon as you get to work, and a third cup in the afternoon, just before you leave work. That’s easy, isn’t it? And it might just give your fat loss a boost. [Ed. Note: Adding water to your diet may help you drop a few pounds. But you should be eating right and exercising to get the best results. For ideas about which foods you should be eating and which foods to avoid - and recipes for delicious, healthy meals - sign up for ETR's natural health newsletter. This article appears courtesy of Early To Rise, an e-zine dedicated to making money, improving your health and quality of life. For a complimentary subscription, visit http://www.earlytorise.com.